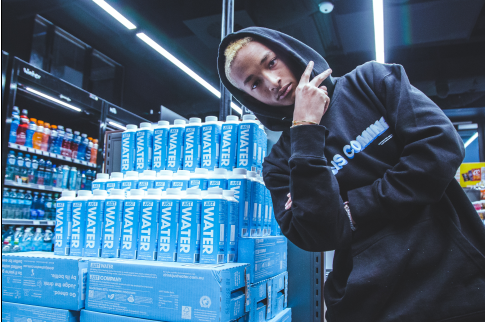 Founded by Jaden Smith, JUST Water, a locally sourced Australian spring water packaged in a fully recyclable carton, announced this week its entrance into the Australian market. The product, which is made from 82 per cent renewable resources including paper certified by the Forest Stewardship Counsel and plant-based material, is aimed at tackling the growing levels of plastic pollution worldwide. The brand’s entry into the Australian market follows a period of rapid growth after they launched in the US in 2015 and the UK last year. The product will be sold at Woolworth nationwide and 7-Eleven at select stores across Australia. Inspired by changing consumer attitudes to plastic pollution, and his experience seeing plastic in the ocean while surfing as a kid, Smith launched the product with the hopes of making a dint in the astonishing levels of plastic pollution in our oceans. CEO of Just Goods, the brand’s parent company, said the expansion follows a period of massive expansion globally – which is only set to accelerate in coming years. “Expanding into Australia is a key step in our global mission to give people access to a truly ethical water brand which will play a role in reducing the amount of plastic in our environment, oceans and the planet.,” he said.